The electrics department at BAE Systems required an adjustable harness assembly workstation up to 10 metres long for the manufacture of the Eurofighter aircraft. We developed ergonomic adjustable harness assembly workstations that can be daisy chained together to produce the required size of harnesses. These harness assembly workstations provided the client with a cost effective way to increase productivity in a labour- intensive assembly process. 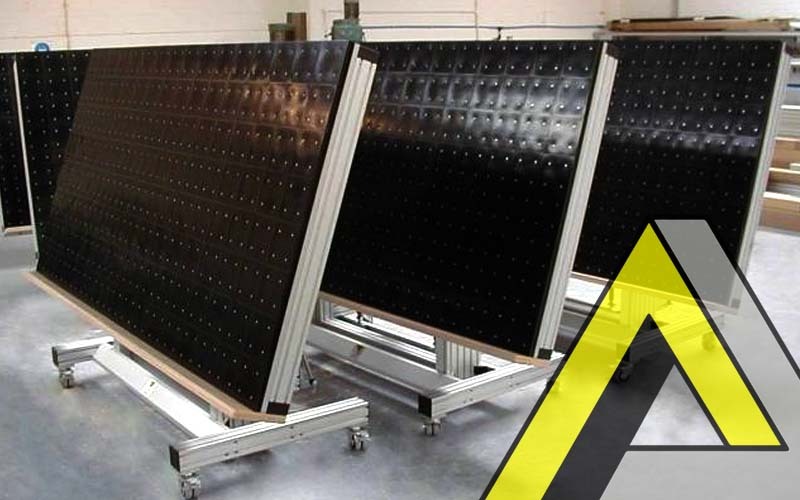 Having been tried and tested in the manufacturing of military aircraft, this type of Boldman workstation has now been integrated into other industries such as Formula One, rally cars and automotive manufacturers. They are available in single or double sided versions with manual counterbalance or with electrical adjustment. The fully tiled work surface allows the insertion of pins for the formation of the cable harness. Simple retro fitting allows for tool supports, document holders, daylight lighting, inspection lamps and electrical sockets to be added to the modular workstation.